Foam composite soundproof barriers are soundproofing products that contain at least one layer of Quiet Barrier™ soundproofing membrane and one layer of acoustic-grade polyurethane foam. The combination of materials offers maximum sound control, with the Quiet Barrier™ membrane serving as a high-powered noise blocker and the foam separating the barrier from the wall, preventing impact noise and enhancing the soundproofing abilities of the barrier. 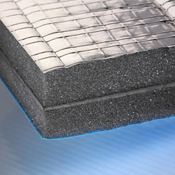 Where Can You Use Soundproof Foam Composite Barriers? 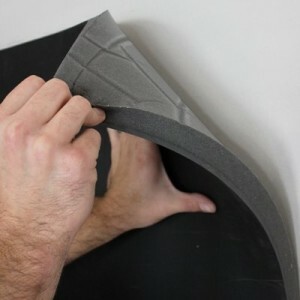 Soundproof Cow offers many options when it comes to foam composites. 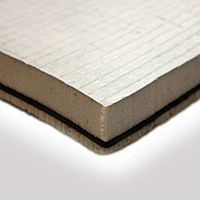 You can order our standard Quiet Barrier™ LD Soundproofing Composite with 1/16” of barrier and 1/2” of foam, the Quiet Barrier™ MD Soundproofing Composite with 1/8” of barrier and 1” of foam or the Quiet Barrier™ HD Soundproofing Composite with ¼” of barrier and 1” of foam. 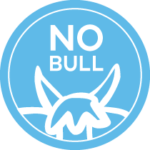 The LD, MD and HD are also all available with peel-and-stick-application for easy installation. For even more sound-blocking power, try one of our four-layer specialty composites, including the Quiet Barrier™ Specialty Composite with optional PSA for easy installation and the Quiet Barrier™ Class A Specialty Composite with PSA. 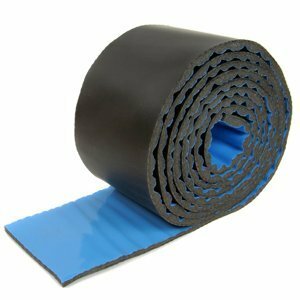 Finally, if you need to quiet those loud water pipes, try Quiet Wrap™ Pipe Soundproofing Wrap. With all of these options, there’s sure to be a foam composite soundproofing solution that’s just right for your purposes, so choose your best option and order yours now!